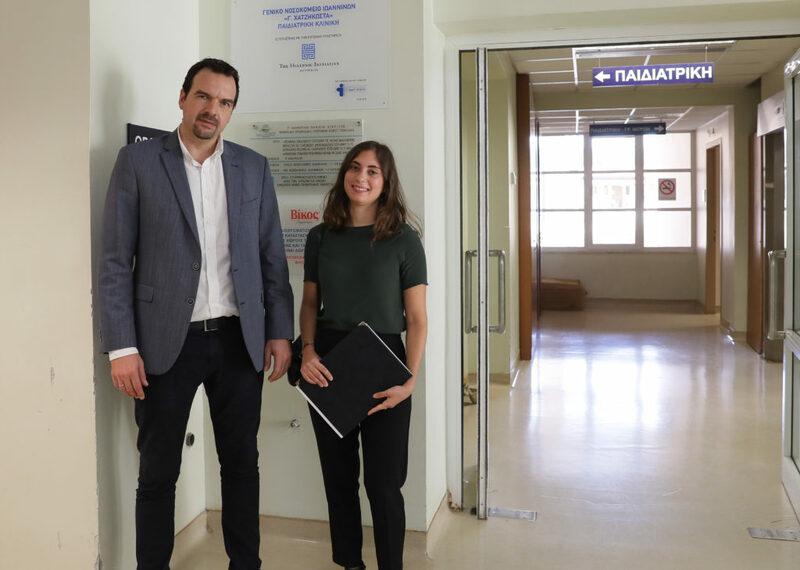 The Hellenic Initiative Australia has welcomed the opening of the upgraded Paediatric Department at the Ioannina hospital – the second regional hospital in Greece funded through a grant to Paediatric Trauma Care (Pedtrauma). More than 9,000 children will benefit annually from the new paediatric facilities at the General Hospital of Ioannina “G.Hatzikosta”, which treats patients from the broader Epirus region, as well as Western Macedonia, Thessaly, Western Greece and the Ionian islands. The $48,000 grant from The Hellenic Initiative Australia has funded the purchase of critical specialist medical equipment for the Paediatric and Neonatal clinics at the Ioannina hospital, which opened on 15 October, and the General Hospital of Kastoria, in the north. The upgraded Kastoria Paediatric Department funded, by The Hellenic Initiative Australia, opened on 7 September 2018. Since 2010, Pedtrauma has upgraded and equipped 45 Paediatric departments at 39 public hospitals and health clinics throughout Greece. Pedtrauma works through a growing waitlist of urgent requests from hospitals requiring specialised medical equipment for treating children. Through mapping and prioritising the needs of hospitals throughout Greece, Pedtrauma aims to provide access to urgent medical care for all children who are seriously injured. “Our goal is to upgrade all the hospitals in Greece and on the islands so that all children are within a critical one-hour radius to get to a hospital with the right facilities,” said Ms Clive-Vrecossis. Pedtrauma also runs trauma prevention programs in schools and provides specialist paediatric trauma training for doctors. Pedtrauma was recently recognized with a Silver Award for a second consecutive year at the Healthcare Business Awards 2018 for its work creating Pediatric Trauma Centers and equipping Pediatric Departments of hospitals and healthcare centres. At the Mobile Excellence Awards 2018 on 19 September, Paidon Pentelis Hospital was presented with the Bronze award for its new “e-priority system,” which was funded by Pedtrauma.